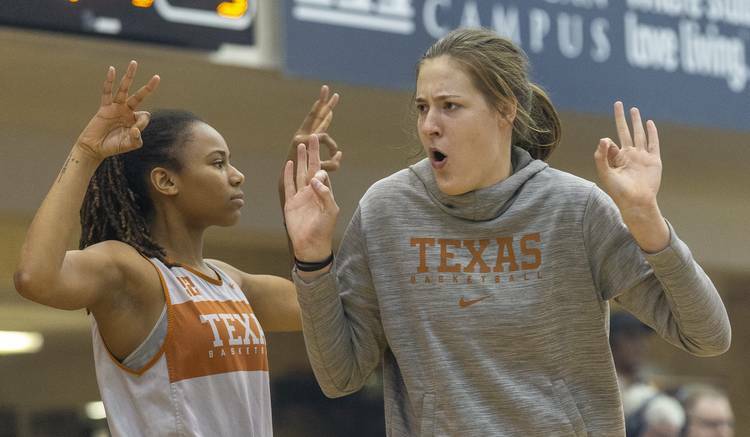 Texas women’s basketball freshman Sedona Prince successfully underwent an additional procedure on her lower right leg on Tuesday. Prince will miss the remainder of the 2018-19 season for the Longhorns, according to university officials. The 6-foot-7 post sustained a lower right leg fracture on Aug. 4 while competing for the United States U18 Team at the Women’s Americas Championship in Mexico City. She had surgery upon her return to Austin. Prince has attended every Longhorns game and usually sits on the bench. She also competes during daily practice in light drills. A McDonald’s All-American while at Liberty Hill High School last year, she should have four years eligibility when the Longhorns convene in October for the 2019-20 season. Next story: Golden: Are the cards falling just fine for Shaka’s group?